As part of 12th annual Free Fall Baltimore, New Public Sites is offering three exciting tours – Mondawmin Crossings, Inner Harbor Baltimore Drift, and Druid Hill Reservoir Interchange. 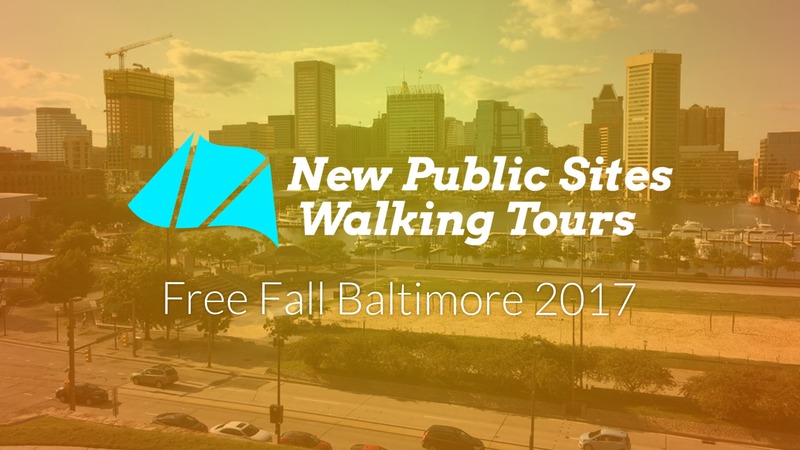 The fall 2017 New Public Sites walking tours series focuses on a combination of interlocking issues: pedestrian safety, the state of Baltimore’s water infrastructure, and access to public space. These tours are made possible with support from Free Fall Baltimore and the Rails-to-Trails Conservancy. Free Fall Baltimore is produced by the Baltimore Office of Promotion & The Arts (BOPA) and presented by BGE with additional support from The Abell Foundation, Atapco Properties, Henry and Ruth Blaustein Rosenberg Foundation and the National Endowment for the Arts. October 14, 3-4:30pm Click here to learn more and register. Greater Mondawmin is a collection of strong neighborhoods sharing an array of educational, recreational, and shopping opportunities. Unfortunately, residents are unable to safely walk or bike to our local amenities due to streetscape barriers like the dangerous highways that ring Druid Hill Park and Mondawmin Mall. 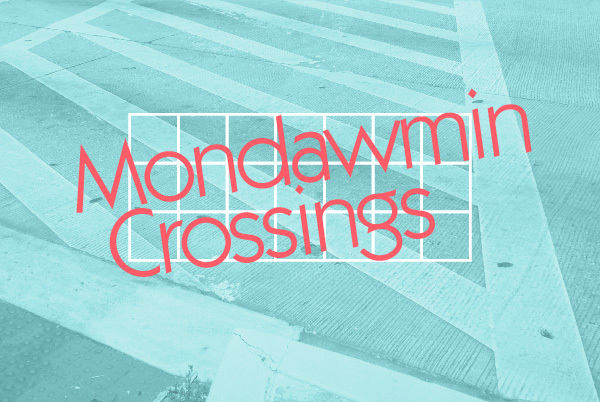 Mondawmin Crossings will be an interactive walking tour exploring opportunities for improving how local residents connect with our many valuable community places. October 21, 2-3:30pm Click here to learn more and register. Baltimore’s Inner Harbor is a celebrated success of waterfront redevelopment, but its spectacular looks disguise a contested past and challenging present. 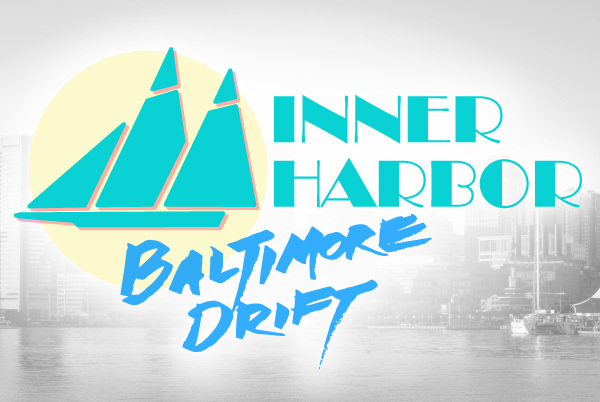 Inner Harbor Baltimore Drift tour participants will discover the real stories of how powerful people, visionary plans, and community movements are still transforming the former industrial wharf into a premiere public space for all. [Rescheduled] November 4, 2-4pm Click here to learn more and register. 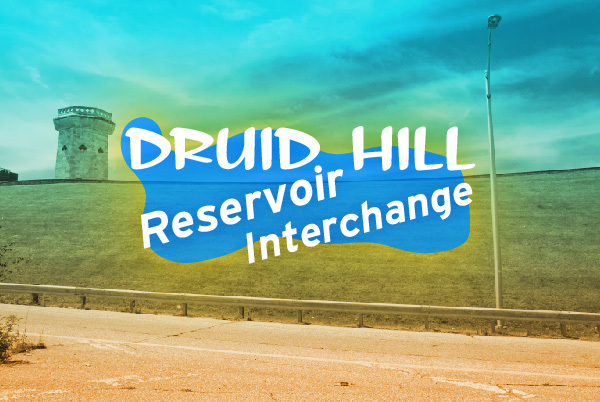 Druid Hill Reservoir Construction Interchange will explore the overlapping embankments and sidewalks to nowhere between the Jones Falls Expressway and the Druid Hill Park Reservoir. The tour will focus on the history of the the park and surrounding highways, and details about the current reservoir construction project. Along the way, we will also share about the community movement afoot supporting pedestrian safety improvements around the park.